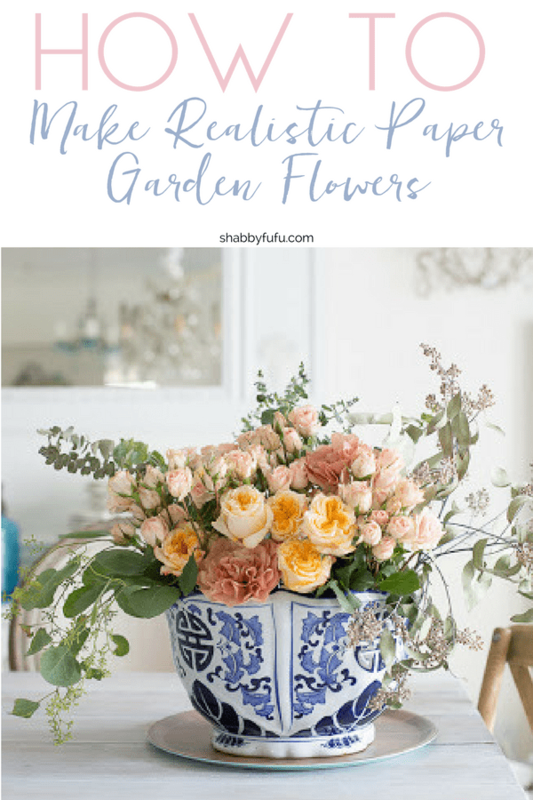 Paper flowers are beautiful in a centerpiece for a wedding, or taped to the wall in a nursery or girls room. In this tutorial you’ll learn how to make them! 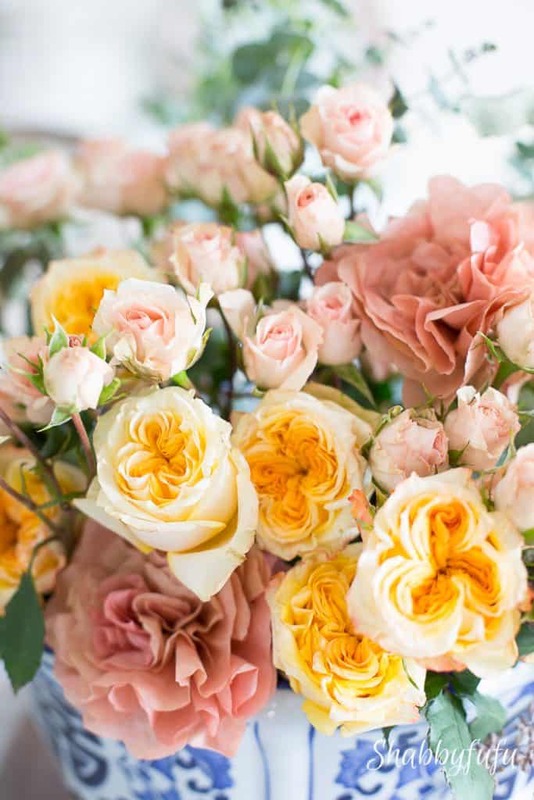 Here is a closer view and you probably know that yellow isn’t necessarily my favorite color, but I have been loving the GARDEN ROSES that are a variety of DAVID AUSTIN ROSES that open so beautifully and rufflly. I found them (and the mini roses) at Whole Foods and then headed off to Trader Joes to find that my store still never got in seasonal peonies…while they are definitely plentiful everywhere else. So I decided to make do and get crafty and make some realistic paper flowers to fill in. Now that I’ve shown you these, you can see where I used some as fill in with my floral centerpiece above. My Chinoiserie centerpiece pot is large and I filled it with soaked floral foam and cut and arranged my flowers first. It looked skimpy and the paper flowers were used to fill in gaps. Are they garden roses, peonies…I’m not sure, but they do look real when you see the bouquet on the table. We recently changed coffee makers and I had several stacks of filters that would no longer fit in the basket style (round). 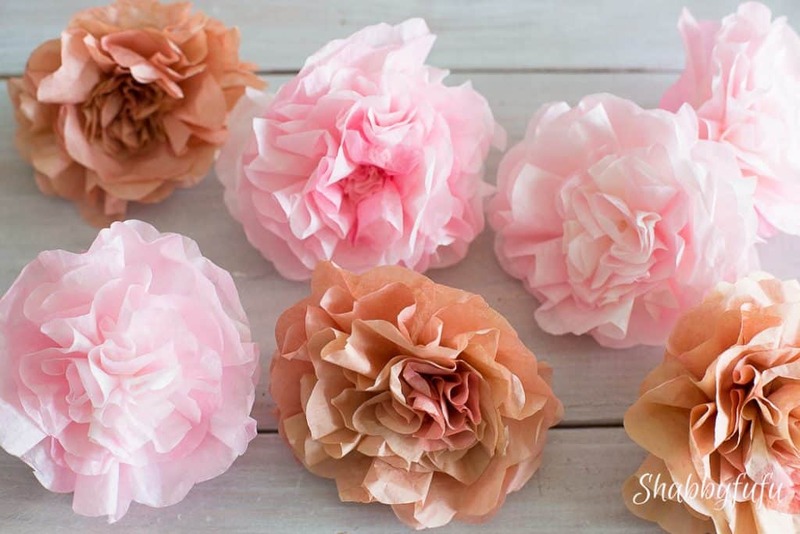 Here is a quick DIY on how I make my coffee filter flowers. I have another tutorial on making RIBBON ROSES that you might be interesting in. First you need to dye your filters. There are lots of tutorials around and I just do it my way by filling up a small bucket with hot water and either LIQUID RIT DYE or food coloring. Just add a small amount at first and try dipping just the ends or the entire filter. I had two types of filters…white and brown and I played around until I liked the results. Here are your supplies needed…coffee filters (and dye, food coloring or watered down paint), scissors, stapler, masking tape. You can add pipe cleaner stems, but I did not in this case. 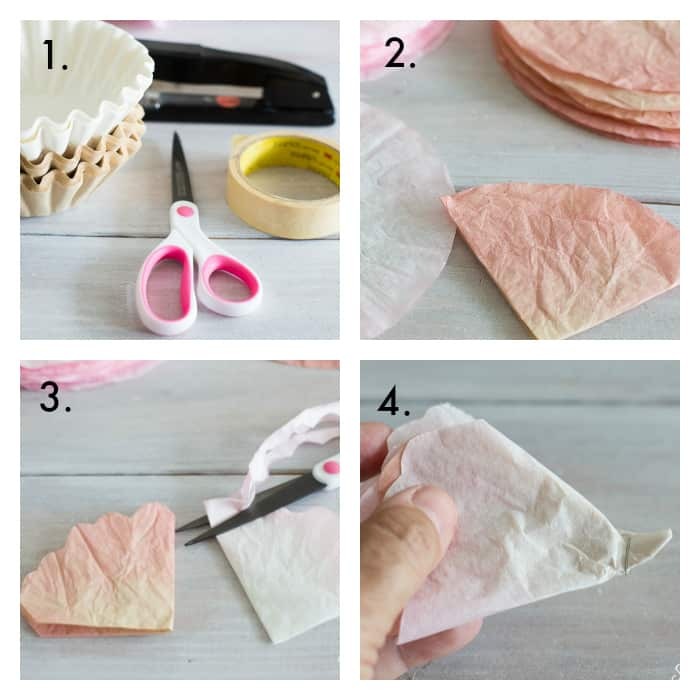 After your coffee filters are dyed and dried you’ll need to fold in half and then in half again. 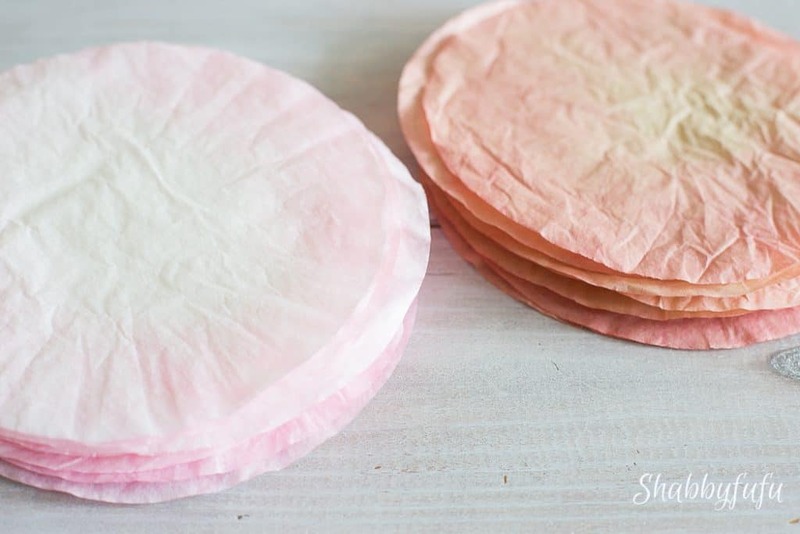 TIP – You can dye the coffee filters in bunches and then separate once dry. Makes it faster! Take several filters and with them folded into this quarter round shape, cut the edges with a scallop shape. They don’t need to be perfect, as garden flowers in nature never are. I had two sizes of filters here, but one works size works too. For most of my flowers I used 6 filters. Once I had the scallops cut I laid them out flat again and then folded them all together back into quarters. Then I put a staple at the end as shown to hold. Once secured with the staple, lay them out flat again, placing what you’d like for your center towards the top. Take a pencil and from the top gather up your layers around the pencil to bring in the flower shaping. Starting from the top layer squish and carefully twist the paper from the underside, leaving the petal part as it is. 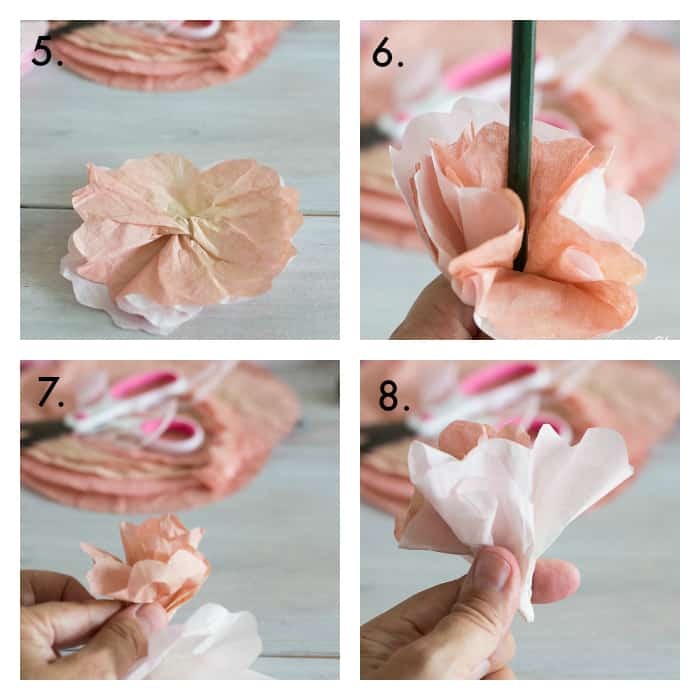 Repeat this with each additional layer of your flower and you’ll start to see the flower taking shape. Once you’ve done this, grab the flower from underneath and twist and pinch to form the shape shown. You are almost finished! 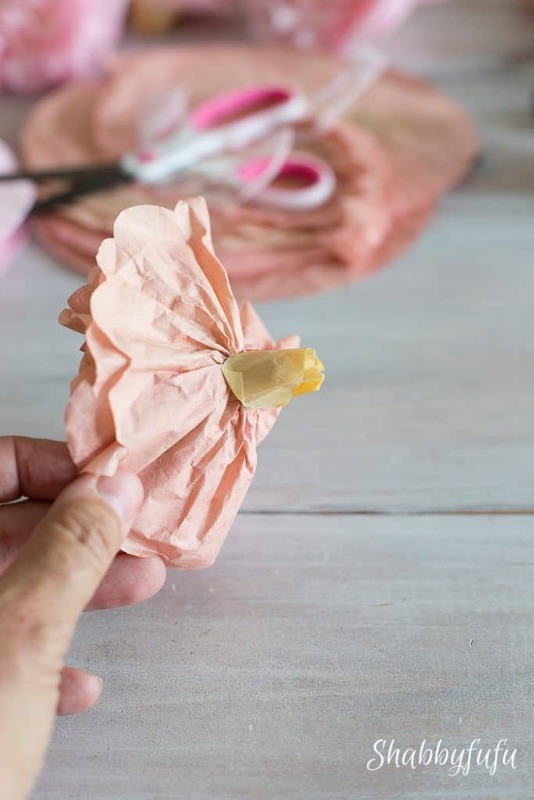 Take a small piece of masking tape (or floral tape) and secure to the underside, then fluff out your flower. They will look something like this and the colors are endless with different dyes. Just be sure to fluff them out when you are finished and try to leave the ruffles and folds in the top as they are. 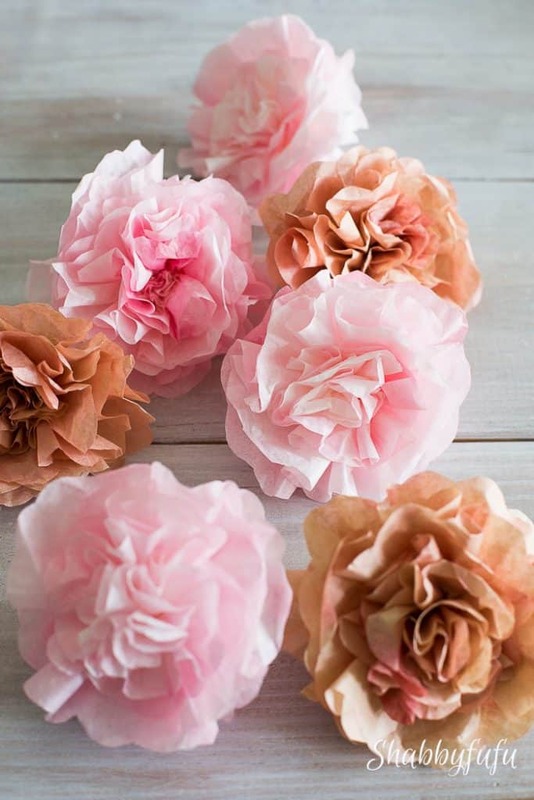 These are also beautiful for a weddding, bridal shower, baby shower, tablescape or use some washi tape and stick to your wall! Happy flower making! LOVE your flowers! Yours are the first “coffee filter” flowers I’ve seen that look authentic and have such beautiful faded colors. I’m starting on these today! 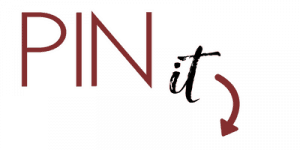 I know going in, mine will not look even close to yours in beauty, but with practice, perhaps I can get close. Thank you for sharing your talent and creativity.